Perspectives in Pediatrics is an international, peer reviewed, open access, scientific and scholarly journal that publishes manuscripts like research, review, mini reviews, case reports and studies, short communications, letters, editorials, etc., from all the aspects of pediatric health, surgery and pediatric emergency. We promise researchers, academicians, healthcare professionals to provide a forum to publish their research work online and also they can find current advances in the treatment strategies of pediatric critical care cases, pediatric research and pediatric surgeries. 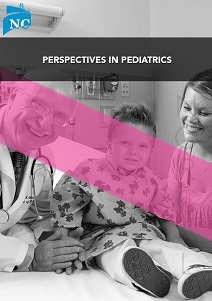 Perspectives of Pediatrics is an international peer-reviewed journal that make progress in pediatric research and assist as a practical guide for pediatricians who manage health and diagnose and treat disorders in infants, children, and adolescents. The Journal publishes original flawless work based on high standards of excellence and expert review. The Journal strives to publish high quality original articles that are instantly applicable to practice such as basic science, translational research, evidence-based medicine, grand rounds, brief clinical and laboratory case reports, medical progress, insightful editorials, expert commentaries, “classic” physical examinations, and novel insights into clinical and academic pediatric medicine related to all aspects of child health. Perspectives of Pediatrics continues to promote the latest advances in all the broad areas and all prospects in pediatrics. We offer a simple to use, and free to access the manifesto where researches who is interested in researching in the prospects of pediatrics, neonatal care or working to create better tools and care procedures for pediatrics can submit their manuscripts and have it instantly globalized after undergoing unique standards. Through our extensively tested peer review system, we are in a plight to ensure that the journal offers the unsurpassable research information to researchers, scholars worldwide.